In Eastern Europe four CIA agents are dead—geopolitical pawns caught in border dispute cross fire. Why were they there? Who sent them? Not even the President knows. Investigating their respective cases, ex–Secret Service agent Joe Reeder and FBI Special Situations Task Force leader Patti Rogers recognize a dangerous conspiracy is in play. When suspects and government contacts are killed off with expert precision, their worst fears are confirmed. 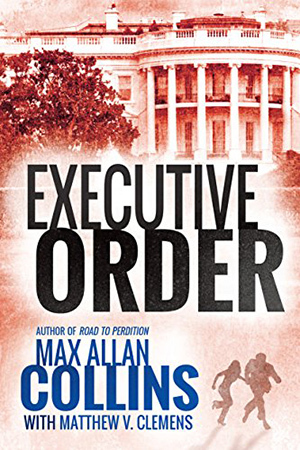 As the country edges closer and closer to war, Reeder and Rogers must protect the President—and each other—from an unseen enemy who’s somehow always one step ahead.